A flurry of interest in therapeutic hyperbaric medicine was fostered by Dr I. Boerema, who, while in Amsterdam in 1956, reported hyperbaric oxygen (HBO) as an aid in cardiopulmonary surgery, particularly for congenital conditions such as tetralogy of Fallot, transposition of great vessels, and pulmonic stenosis. A colleague of Boerema's, W. H. Brummelkamp, also interested in hyperbaric medicine, discovered in 1959 (and subsequently published in 1961) that anaerobic infections were inhibited by hyperbaric therapy. Meanwhile, Boerema had published an article, "Life without blood," a report of fatally anemic pigs treated successfully with volume expansion and pressurised hyperoxygenation. Boerema often is credited as the father of modern-day hyperbaric medicine. In 1962, Smith and Sharp reported the enormous benefits of HBO in carbon monoxide poisoning. International interest thus was rekindled, and HBO therapy was thrust into the modern era. 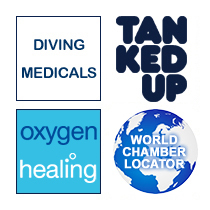 Hyperbaric units subsequently were built at Duke University, New York Mount Sinai Hospital, Presbyterian Hospital and Edgeworth Hospital in Chicago, Good Samaritan in Los Angeles, St. Barnaby Hospital in New Jersey, Harvard Children's Hospital, and St. Luke's Hospital in Milwaukee. Further chambers were installed in numerous international sites.